Teaching Mat class is boring right? Wrong! 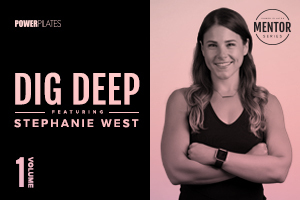 Join Power Pilates Teacher Trainer Stephanie West for the first-ever live webinar tackling this topic! Can I get creative and still be Classical? How do I challenge multiple levels simultaneously? How can I delicately handle the weaker individuals in my class? What's the difference between a modification and a variation? How do I use props to make exercises easier? What are some creative ways to use the space effectively? How do I make sure that my more advanced clients aren't bored? So get ready to Dig Deep with us and bring questions you've never had the chance to ask in an in-person workshop.